If you are looking for the perfect Hollywood smile, performed by a professional with amazing value for money then look no further! 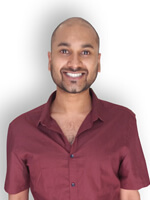 We are excited to welcome Dr Ricky Ghosh to the team at Aesthetics of Essex. He is a qualified Cosmetic Dental Surgeon with years of experience, exclusively available at our salon. Since 2008, he has been performing revolutionary teeth whitening services within the NHS and private sector industry, transforming his patient’s drab teeth into striking smiles. He is a fully licensed member of the GDC, with a Masters Degree in Dental Public Health. He has a lot of experience and his calm and friendly approach makes him a hit with all patients. If you are considering getting professional teeth whitening with us or would like more information about this service, feel free to give us a call or pop in and arrange a consultation.